Jack Breakfast is a musician both lovable and prolific, ha! 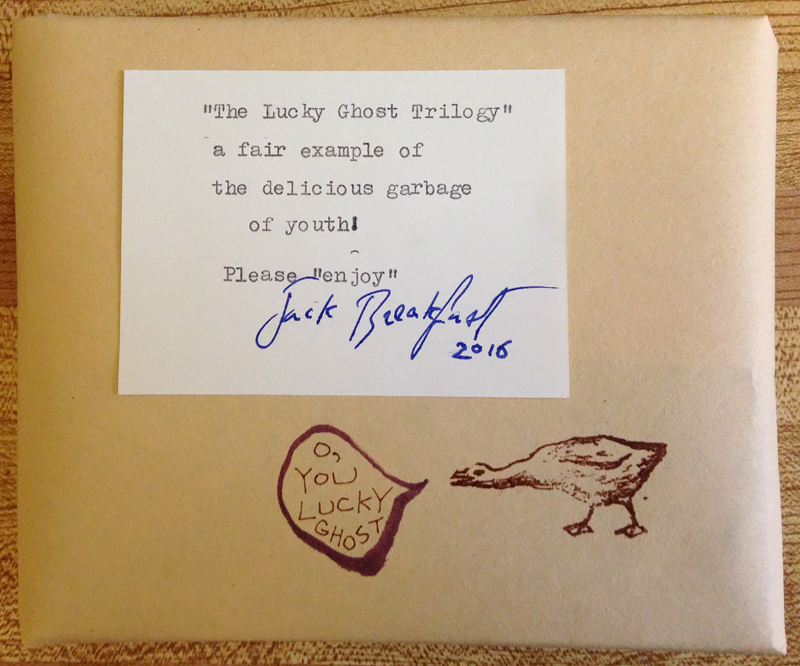 called THE LUCKY GHOST TRILOGY. Do not deny yourself! Life is for the living! Perhaps peruse and purchase any or all of these on world-famous iTunes? Unless or also you are the type of mulcher who craves always the first edition, the document, the artifact? & it is true that this could happen also to you! See the care, see the love! and certainly we will proceed piously from there, etc.